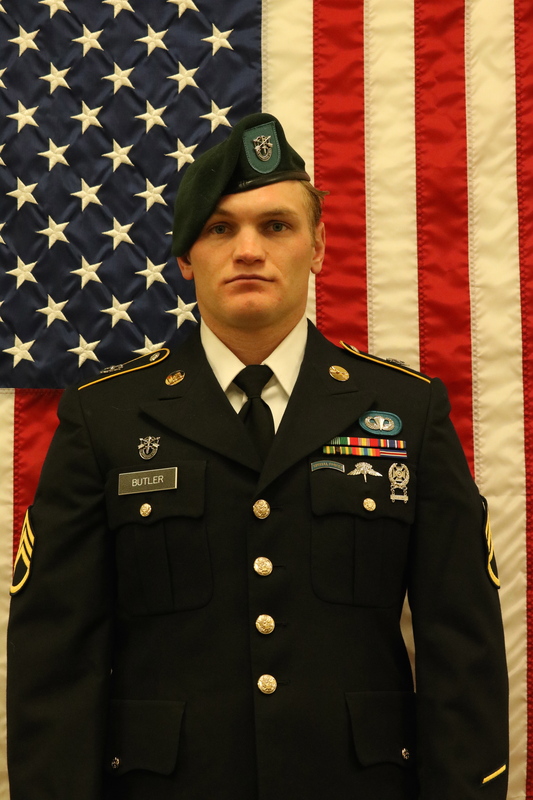 ST. GEORGE – A 27-year-old Utah National Guard member from San Juan County was killed in Afghanistan Wednesday when a building he and his team were clearing exploded. The incident also left 11 others injured. Gov. Gary Herbert confirmed Thursday during a press conference that a 12-member team of the Utah National Guard had been involved in an incident in a “booby-trapped” building that turned deadly for Staff Sgt. Aaron Butler, 27, of Monticello, Utah. The Utah National Guard later confirmed via a news release that Butler and the others are a part of the 1st Bravo Company, 19th Special Force Group (Airborne). The Army values are: ‘Loyalty, Duty, Respect, Selfless-Service, Honor, Integrity, Personal Courage’. Aaron Butler personified those values in everything he said and did. In a life that was all too brief, our dear son and brother made the ultimate sacrifice for his country. While we are heartbroken to become a Gold Star family, we honor Aaron’s service and sacrifice. Aaron was a strength to us, an inspiration to those around him, and a joy to have in our family. Eight members of the National Guard team are from Utah, Herbert said, while three are from other states. Each suffered “various degrees of injury,” the governor said. “I will be calling and contacting the families today that have been involved in this incident to let them know of our concern and our support and our condolences. Certainly, it’s a tragedy for them and a tragedy for all of us,” Herbert said. 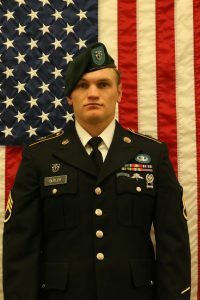 According to the San Juan Record, Butler was a Special Forces Green Beret and graduated with honors from the qualification course in January 2016. A press release from the National Guard said Butler’s team was in eastern Afghanistan and engaged in operations against ISIS groups in the region. Gov. Gary Herbert, among others, have issued statements expressing their condolences and support for Bulter’s family. Jeanette and I were heartbroken to hear of the passing of one of Utah’s best, Staff Sgt. Aaron Butler. Tonight, we join all Utahns in grieving for him, and honoring his sacrifice — the ultimate sacrifice. Our hearts ache for his family, friends and loved ones, and they will long be on our minds and in our prayers. It truly isn’t possible to offer adequate thanks to those who put their lives on the line day after day in the defense of freedom around the world. May God’s greatest blessings graciously fall upon those brave men and women who are dedicated to the service of their fellowmen. Yesterday, while on a mission in Afghanistan, Aaron Butler was killed by enemy forces. Our hearts are broken. We are devastated. Our prayers and support are sent to the Butler family at this sad time. We will remember Aaron as a man that gave his life so that we may continue to live in the land of the free. His selfless service will not go unremembered or unthanked because we will remember and show gratitude to his family. We also send our prayers to the other members of Aaron’s unit that were wounded during the mission and wish them a speedy recovery. May we never take our freedoms for granted or let a day go by without showing gratitude to the men and women who fight for our country. Butler’s body is being flown to Dover, Maryland, and will eventually be released to the family. Members of Utah’s Congressional delegation also expressed their condolences over social media. My heart goes out to the family of the Guardsman we lost in Afghanistan. It’s reminder that we live in a dangerous world. My heart goes out to the Butler family on the loss of their son Aaron. I am very grateful for all our service men and women who put their lives on the line for our nation. I will pray for all our Utah families who have loved ones serving in Afghanistan today. Ed. norte: This story has been updated with additional information from the Utah National Guard and additional comments from Gov. Gary Harbert. Condolences to the family of this brave young man. His sacrifice should make all of us remember what men & women in service do for the country. God bless him and may he rest in peace. Aaron Butler, R.I.P. No one wants to die serving their country, and your sacrifice is not in vain. I served and hoped that I would return to my family, and I was lucky enough to, but I knew many times over that I may not. The best to your family at this unfortunate time, words cannot express how they feel right now! !